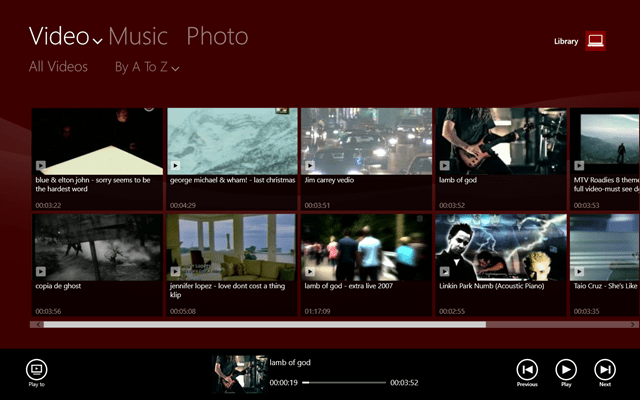 sMedio TruLink+ is a free Windows 8 Multimedia App that will sync all your photos, videos, and music from your library. This app for Windows 8 acts as your personal media player through which you can play all your multimedia contents straight from your device’s library. It’s a simple and easy-to-use Windows 8 media player with all media control measures. Just turn on your system and listen to your favorite songs or watch your favorite videos or movies all on your TrueLink+ Media player. Just install this Windows 8 app and it will take care of everything. 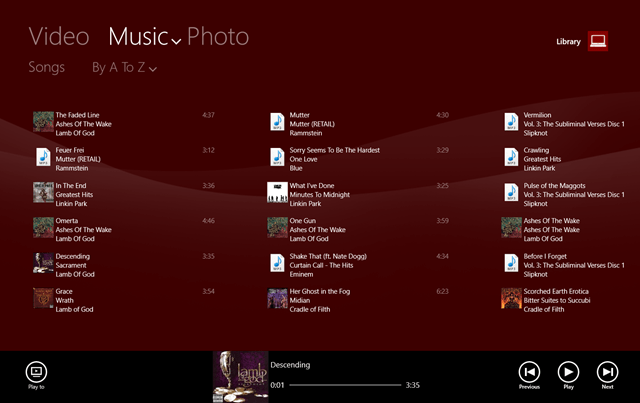 On the name of multimedia player, I think this is a nice and simple to use Windows 8 multimedia app. As you always create your own playlist for your favorite songs or videos, it’s just the same what you have to do with TrueLink+. Just copy down your favorite songs in your music folder and your videos into the videos folder of your device’s library, respectively and you are ready to go. TrueLink+ will sync all the media content from your device’s library. You can also view photographs with the help of this free Windows 8 multimedia app. This is how the media player looks like when it plays your favorite music file. 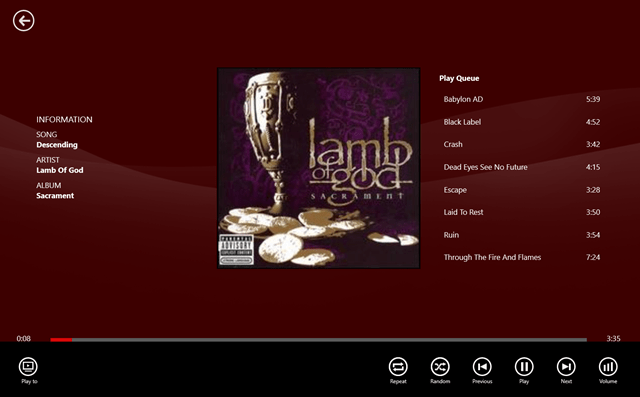 You can browse all the songs from the sidebar and can also use the media player buttons. It also has a repeat and shuffle button if you want a party mix. Personally, I like the interface of this Windows 8 app. It’s quite sophisticated and simple. You don’t have any kind of extra stuff and its very simple to use. Give sMedio TrueLink+ a try its pretty good, available under the “Music & Video category.